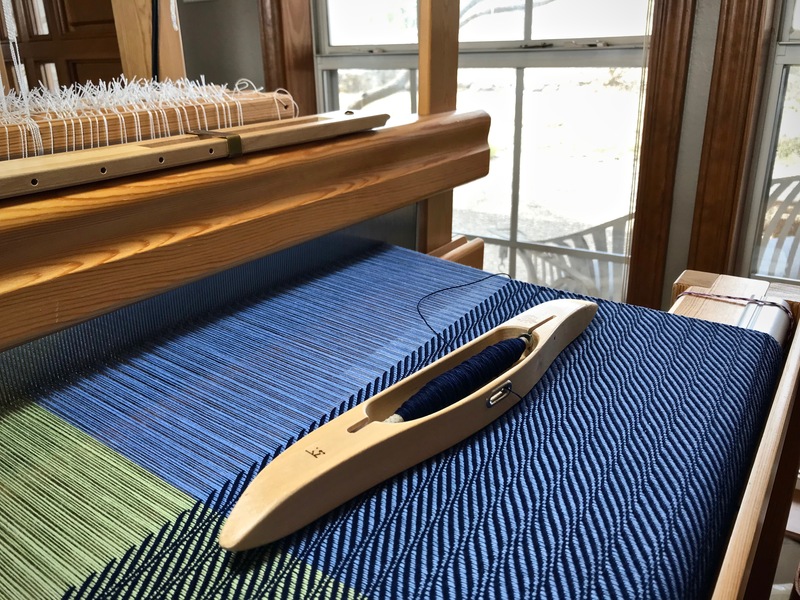 Threading four shafts is straightforward because the heddles fit perfectly between four fingers and a thumb. Threading eight shafts is tricky because we don’t have that many fingers! Thankfully, threading eight shafts can be as straightforward as threading four shafts. I like to think of it as four shafts in the back, and four shafts in the front. For a review of threading four shafts, watch the short video in this post: You Can Prevent Threading Errors. 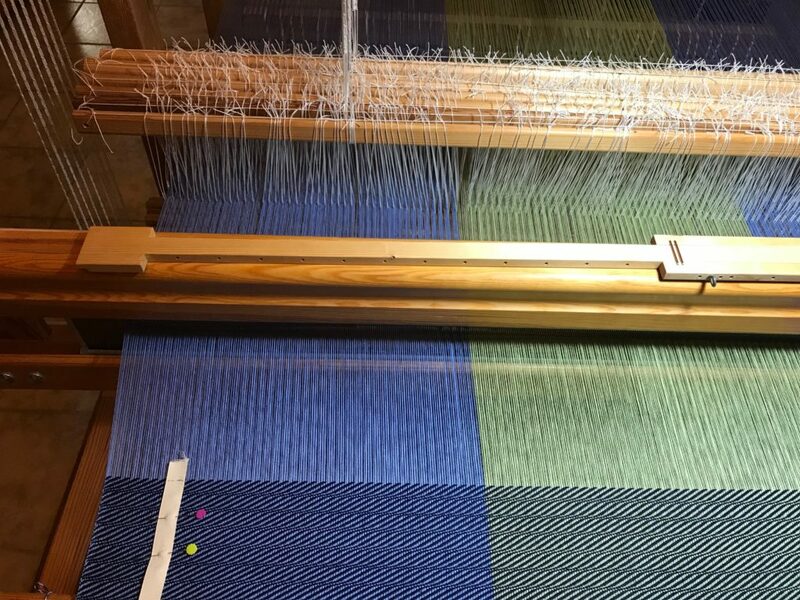 Set a small group of heddles apart on each shaft to prepare for threading the next group of ends. 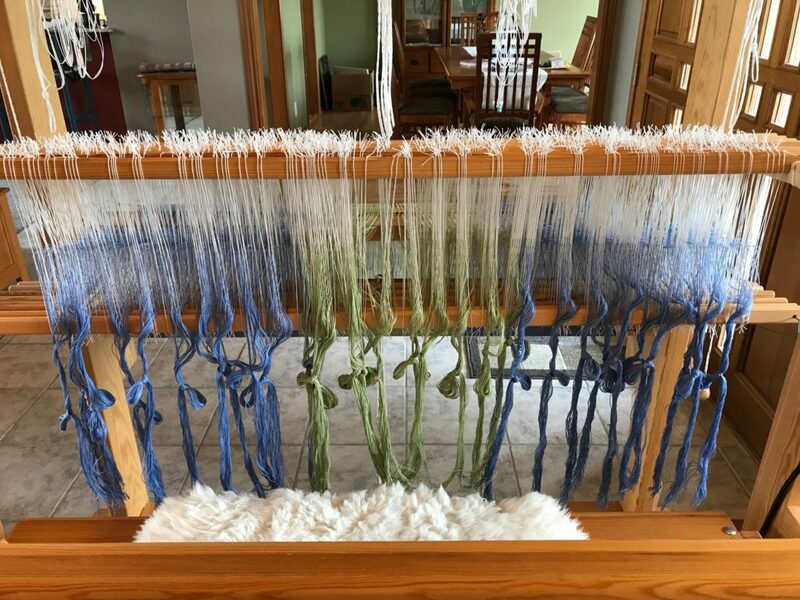 Pick up the next threading group of ends and bring it to the front, on the left side of the separated heddles. Lace the threading group of ends under, over, under, over the fingers of your left hand, palm up. 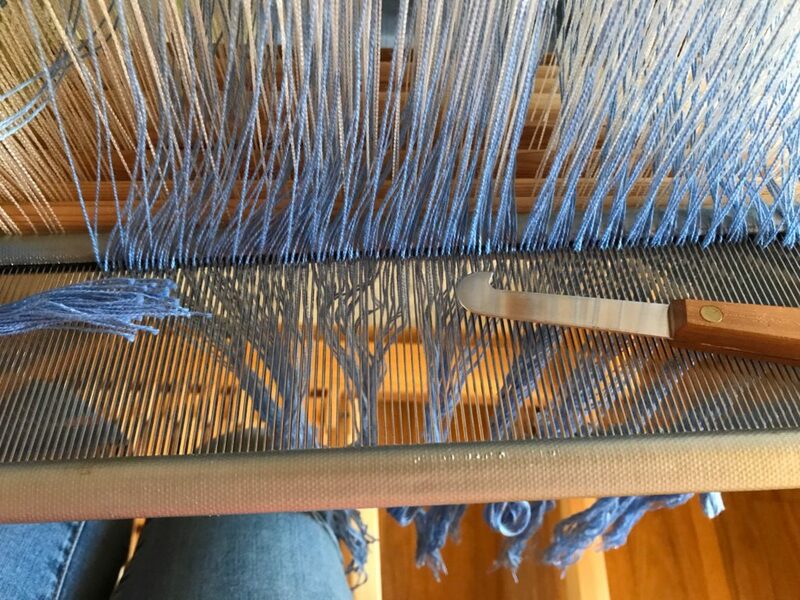 Left hand becomes tensioning device for threading the heddles. I like to put my index finger in between the two parts of the cross, as separated by the lease sticks. 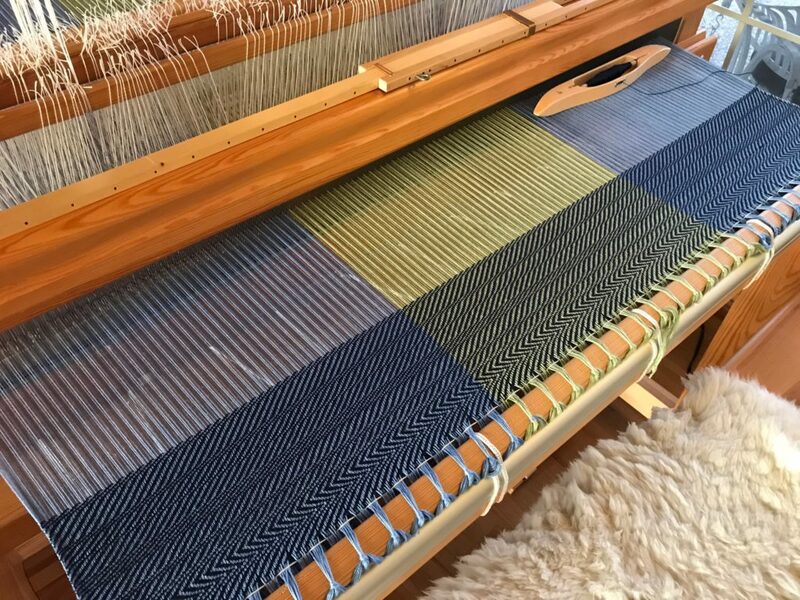 Wrap left hand index finger around the group of heddles on shaft one (the shaft nearest the back of the loom), the middle finger around heddles on shaft two, the ring finger around heddles on shaft three, the pinky around heddles on shaft four, and bring the thumb around to hold it all loosely together. 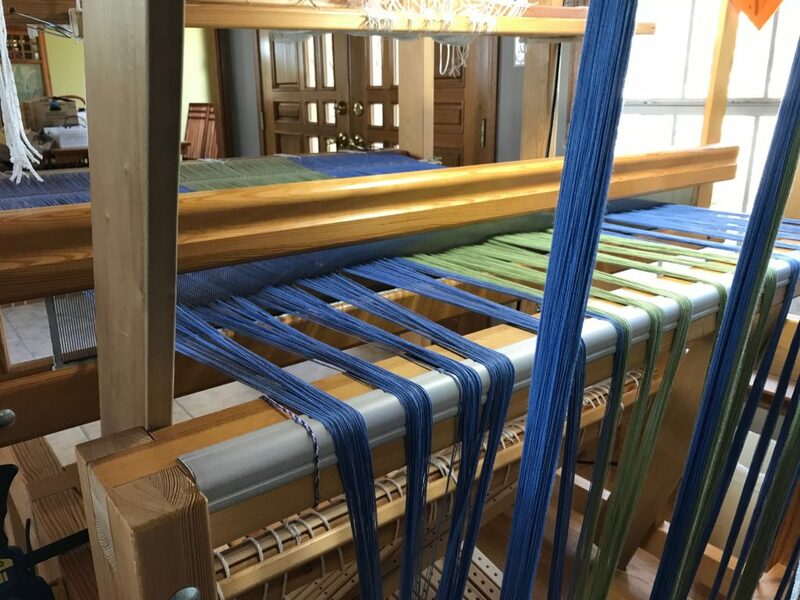 Each warp end is taken in order from between the lease sticks, and then threaded through the heddles in order. Thread the first four heddles—1, 2, 3, 4. 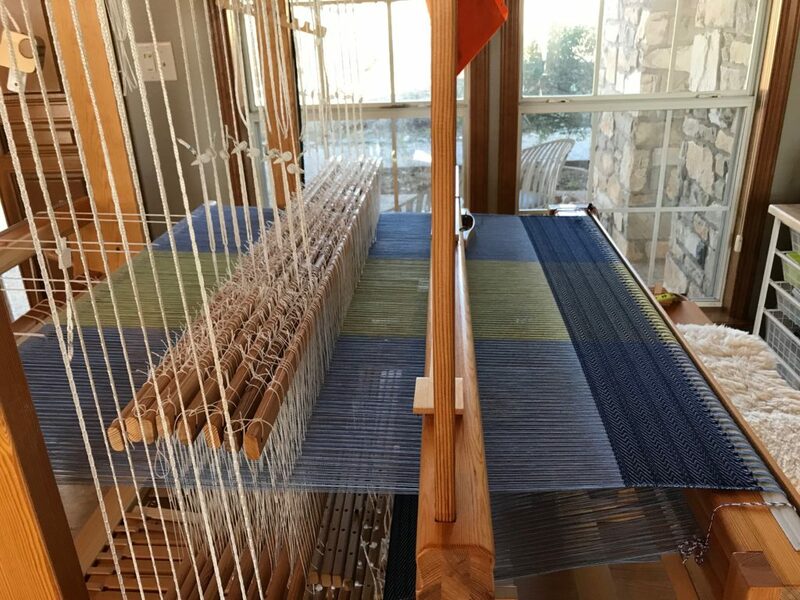 With the right hand, hold the group of warp ends taut, and open the fingers of the left hand to release the heddles. 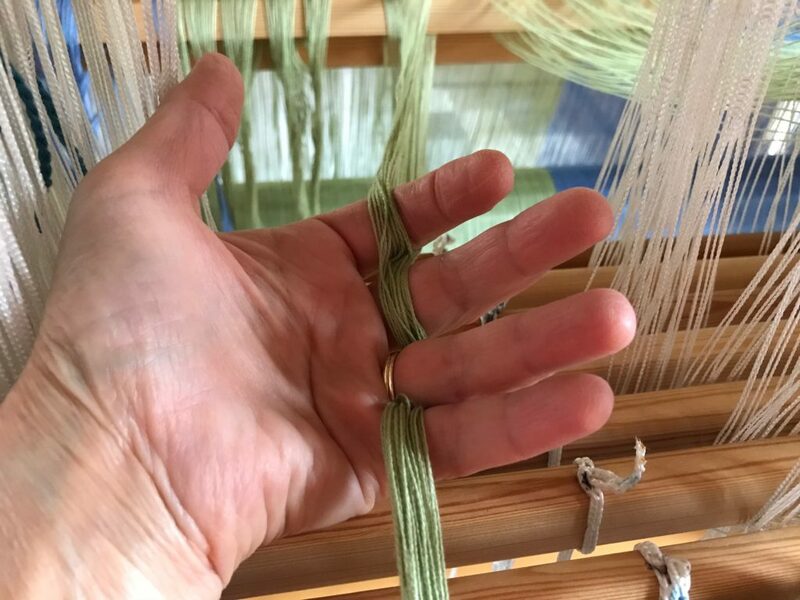 Keeping the group of warp ends loosely laced around the fingers, slide the left hand toward you to thread the next four heddles—5, 6, 7, 8. Position your fingers around the heddles on each shaft, as you did for the first four shafts. 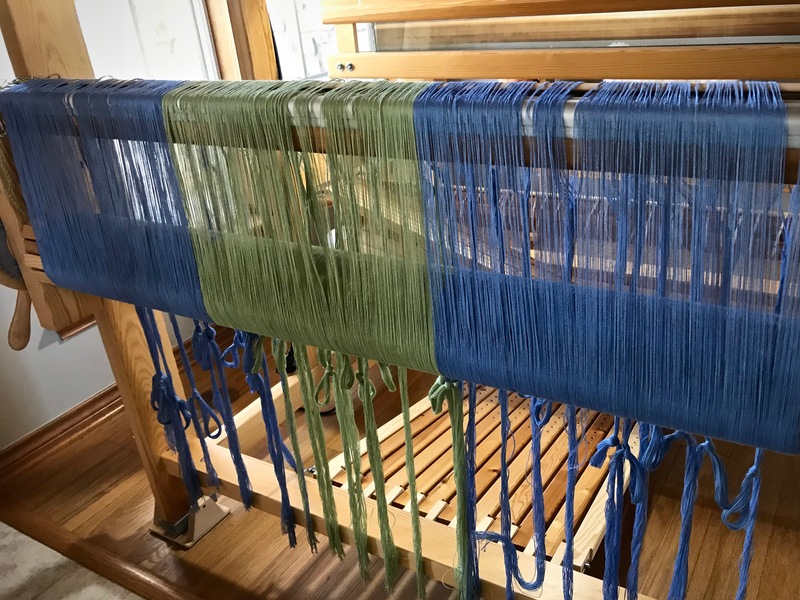 Left hand slides toward the front of the loom to thread the next four heddles. 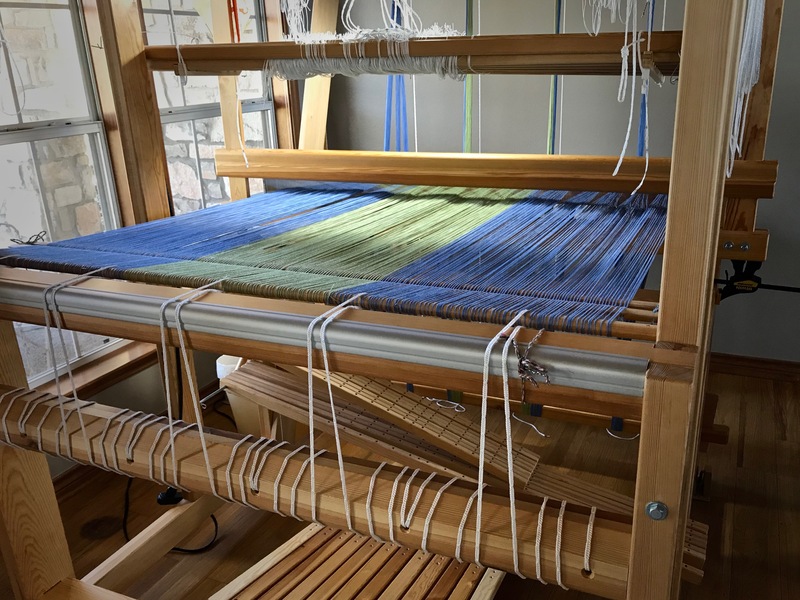 It helps to hold the warp ends taut with the right hand while the left hand is repositioned. 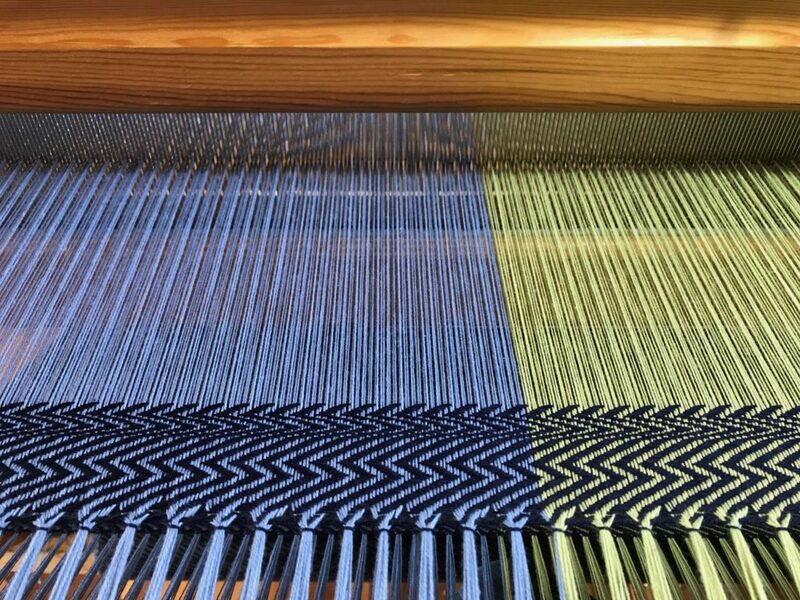 After threading the second set of heddles, follow the same procedure as before and slide the left hand back again to thread 1, 2, 3, 4. 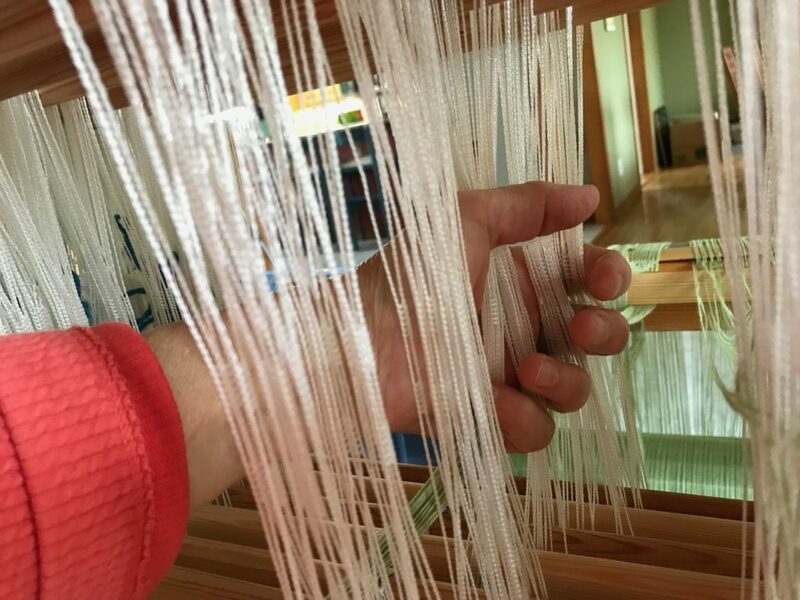 Continue sliding the left hand forward and back, until the threading is completed for that group of ends. 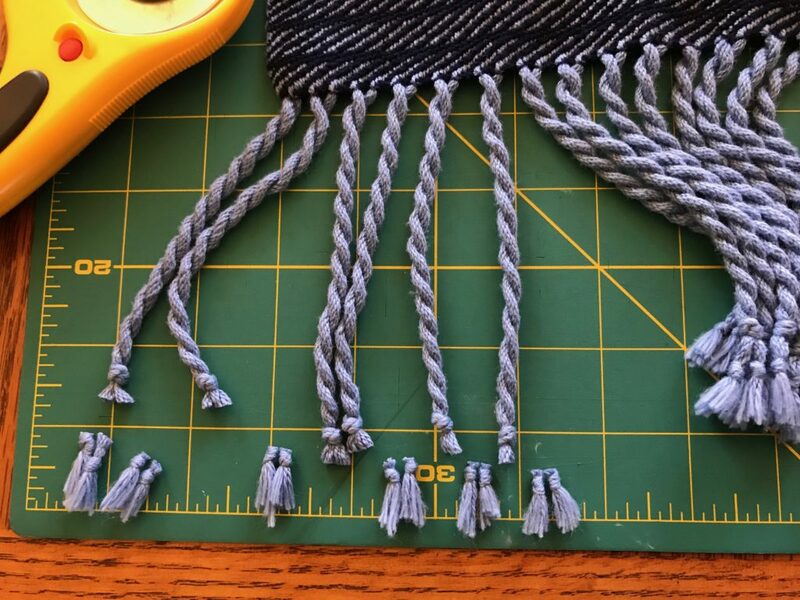 Check the threading group for accuracy, and then tie the group of ends together in a loose slip knot. Always check for accuracy before moving on to the next threading group. 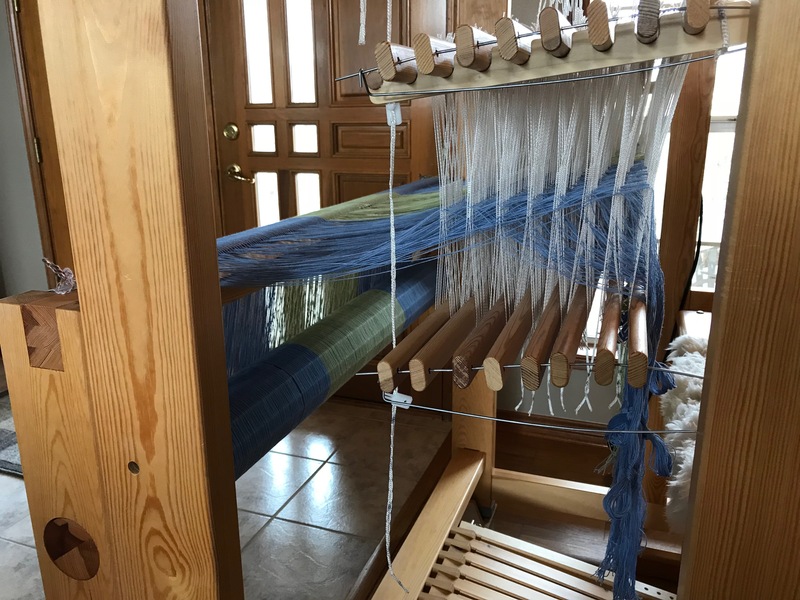 Complete the threading across the warp. 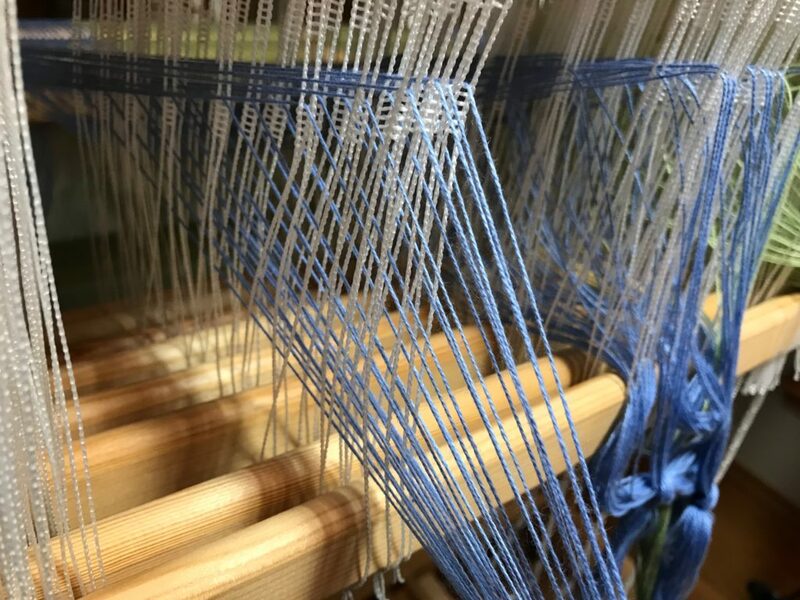 And then, step back and admire the beauty of a beamed and threaded loom. Shafts are raised high for good access and visibility for threading, and for checking for accuracy. Threading is complete. Cotton throw. 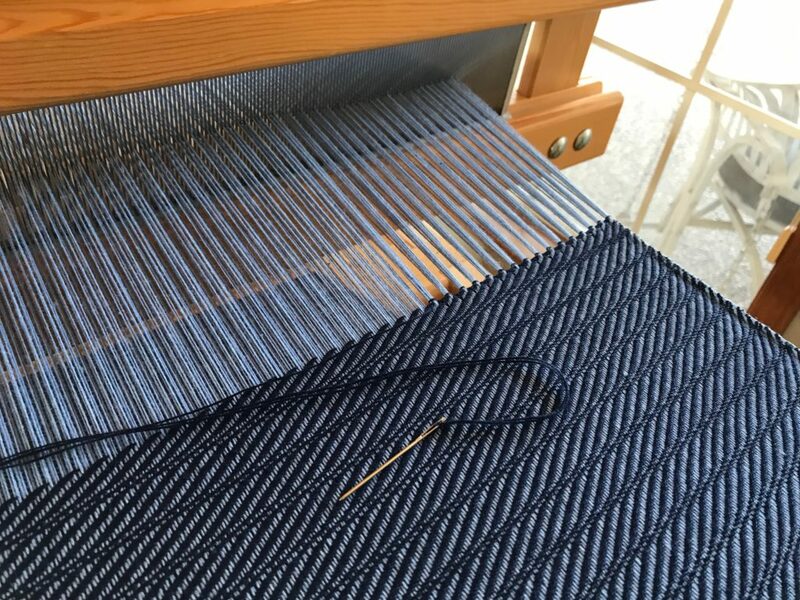 8/2 cotton, undulating (wavy) twill on eight shafts. May you find efficient methods for the work of your hands. Hi Cynthia, I agree, these colors are very pleasant. Just waiting to see how they look woven! 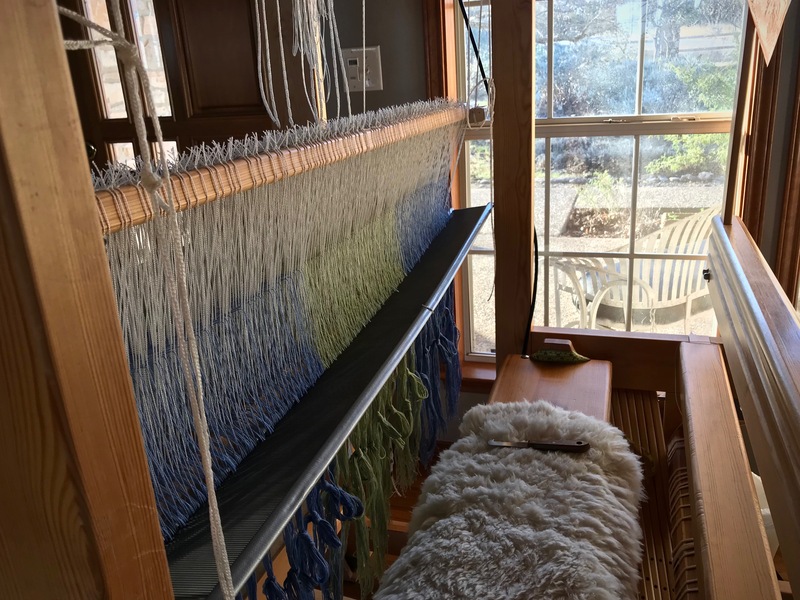 I really appreciate it when you post photos of your weaving space. It answers many unspoken questions about how to design a work area. 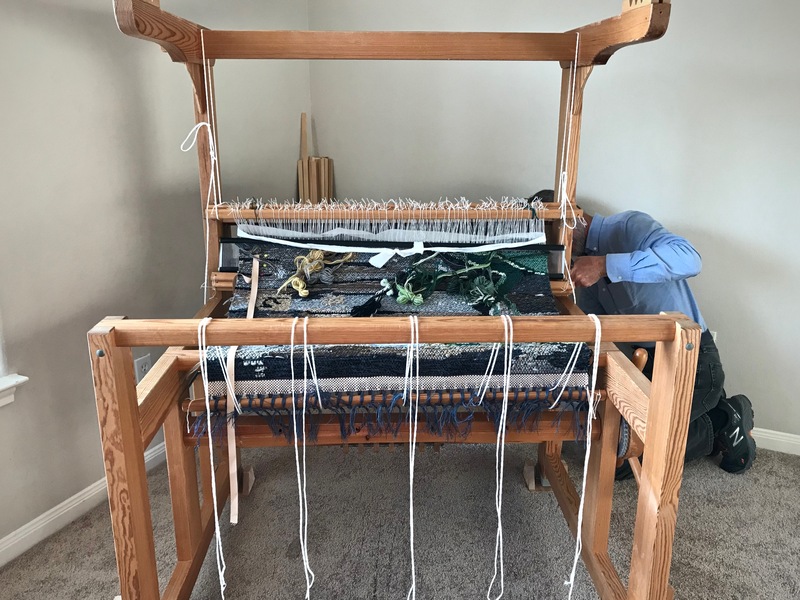 The space has a tile floor with a rug placed immediately under the loom. There are no electronics to be seen. The floor is clean of lint. Plenty of natural light, with a view. 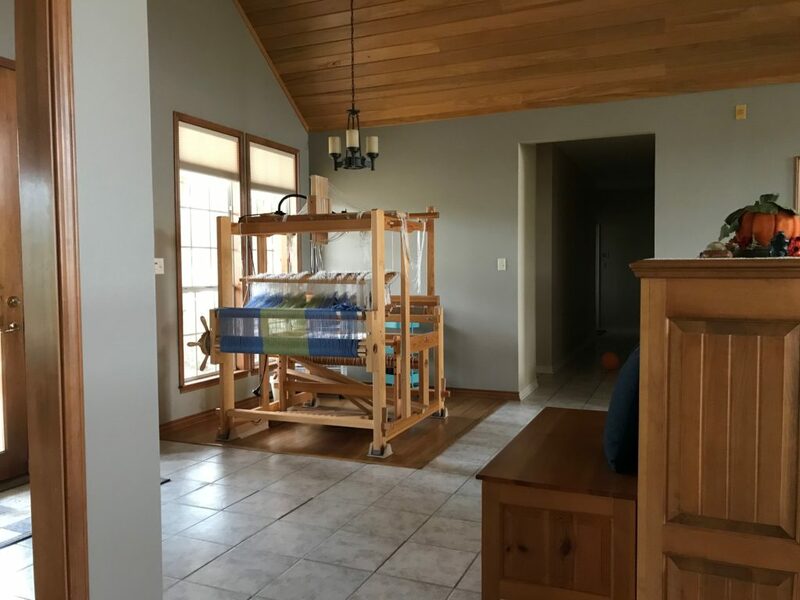 Hi Nannette, All of that is correct, except there is no rug under the loom. 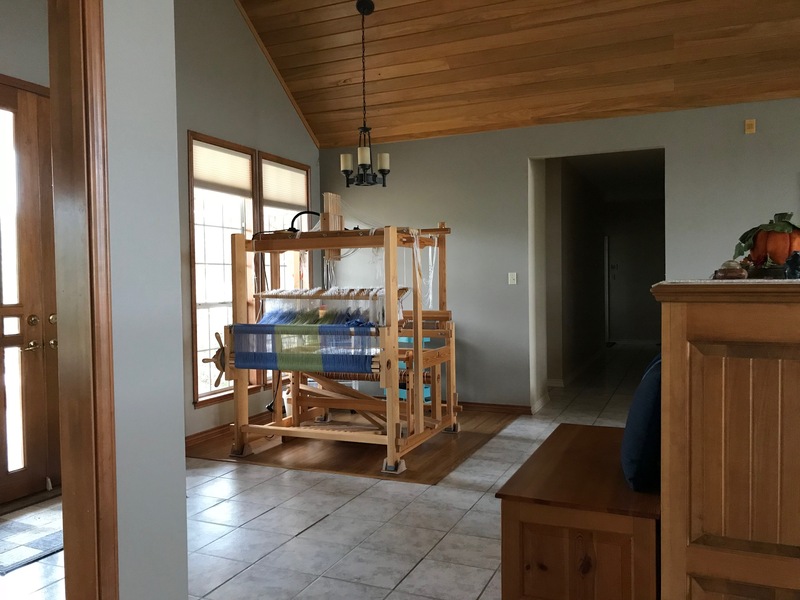 The loom sits on a square patch of wood floor. The original owners of this house designed that spot specifically for their baby grand piano. Since I don’t have a baby grand, a Glimåkra Standard seems the next best thing. After having carpet under my looms, it’s really nice to have a smooth floor under them now. It’s much easier to collect all those dust bunnies that hold meetings under there. I am going to print and keep the information on the post since I have plans to order and 12 shaft Louet Delta after Christmas. I haven’t even threaded more than 4 shaft so this post is much needed! 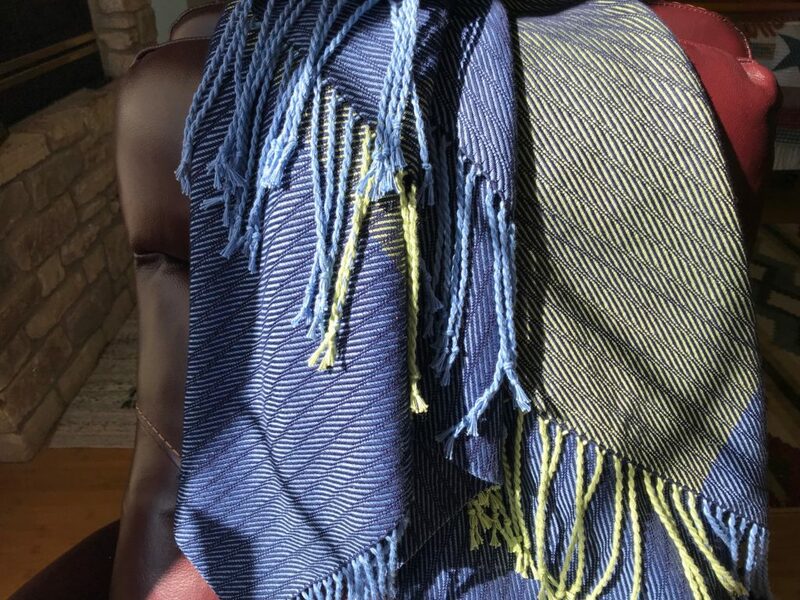 Thank you so much for sharing yourself with the weaving world. I have learned a great deal from you. 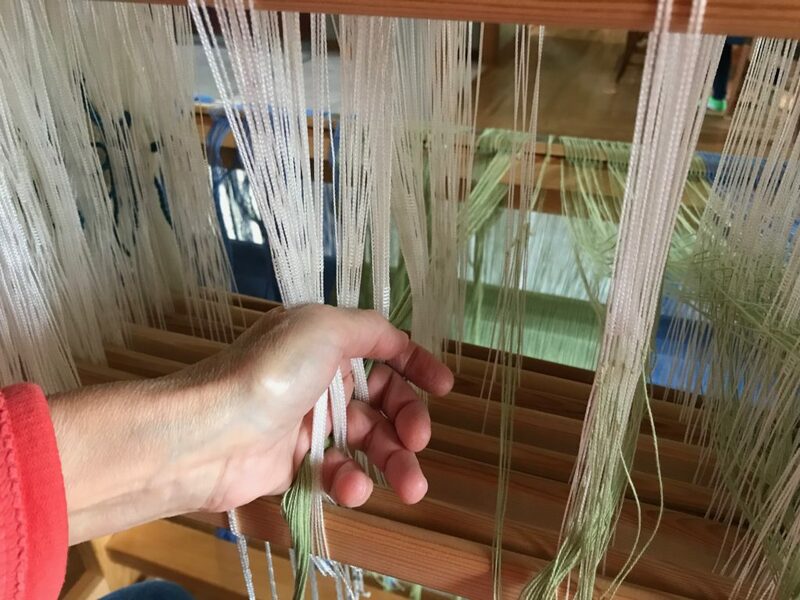 May your hands always be busy weaving. Hi Annie, I’m excited for you! 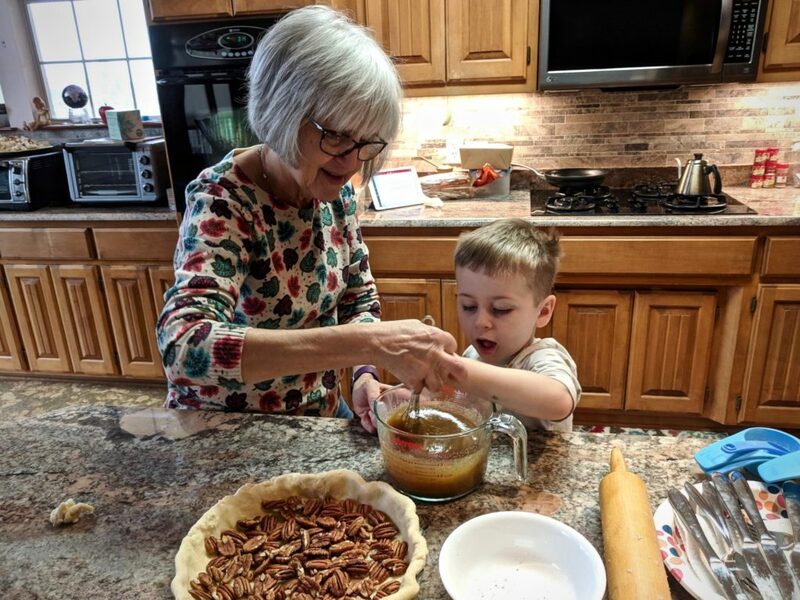 You’ll find that there are several ways to do just about everything. It’s good that you are collecting information that you can use for reference later. Exactly how I do it! I just posted a video of me threading last week on Instagram. lol. Hi Jean, Yes, I saw your video and thought, that’s how I do it! Nice work! I want to wrap up in this cozy throw already. But I need to weave it first. 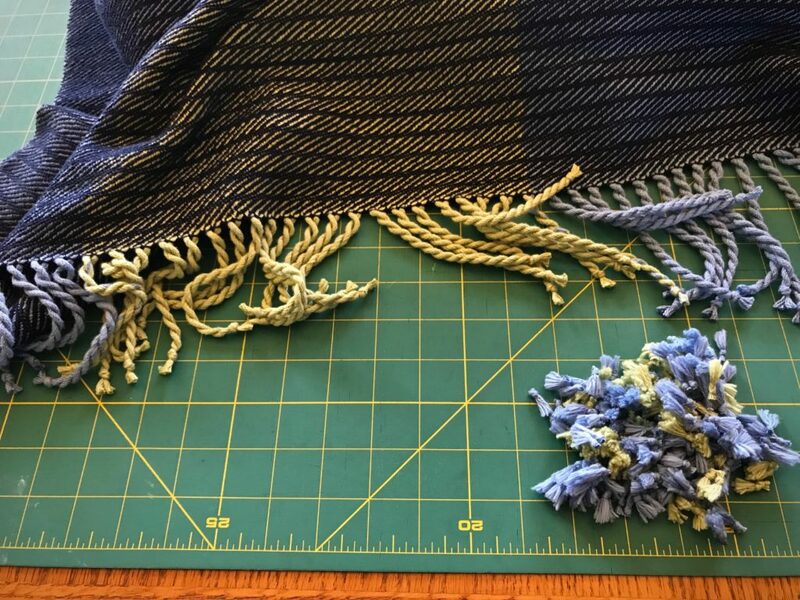 This is an undulating twill throw that I am making for sweet Lindsay, one of my daughters-in-law. 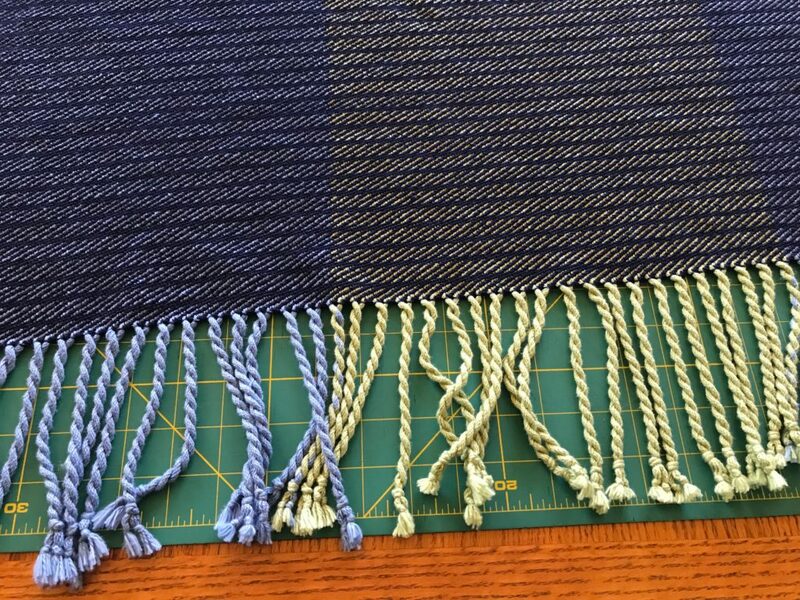 Of course, I am including enough warp to make a small throw of my own. Four chained bouts. 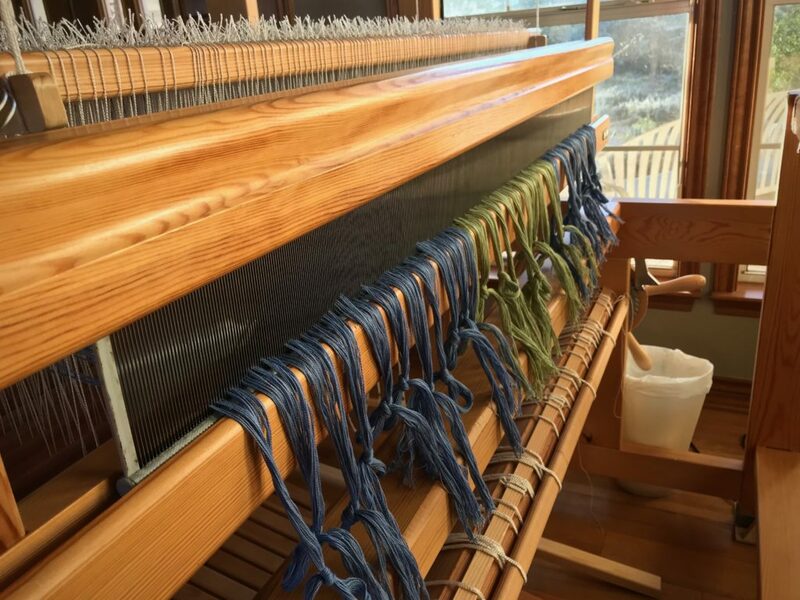 The 8/2 cotton warp is pre-sleyed, and the back tie-on bar has been placed through the loops at the end of the warp. 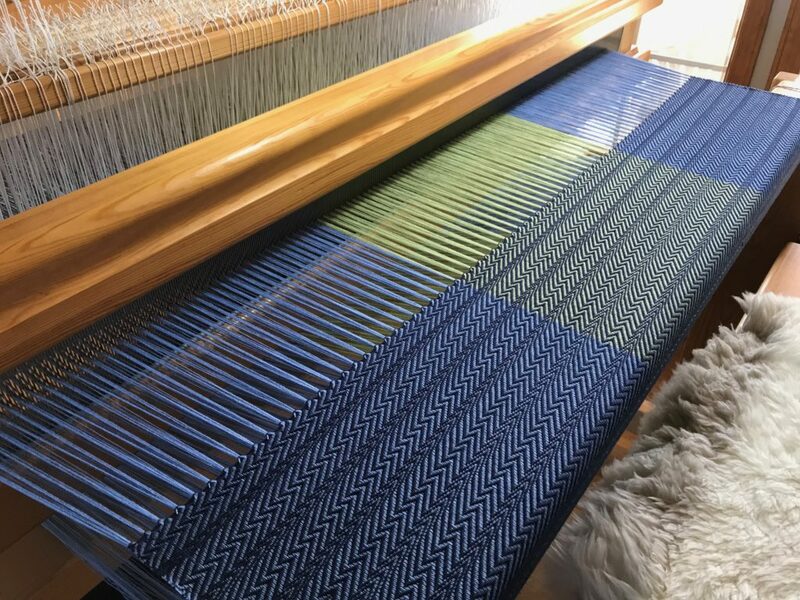 Every step of dressing the loom is fascinating. I easily get immersed in the enjoyment of the process. All the while, I’m dreaming of the finished work. 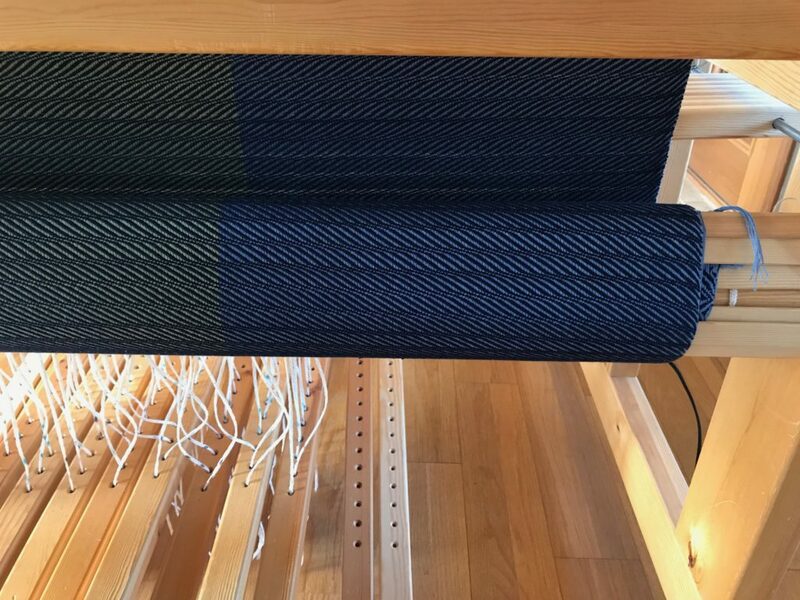 Warping trapeze is in place at the front of the loom. Ready to beam these soothing colors onto the warp beam. Warp is beamed. 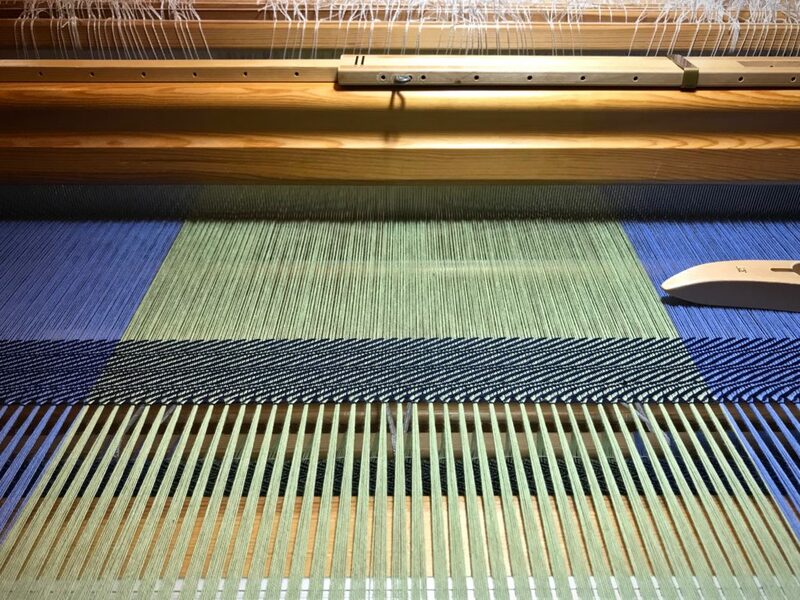 Warp ends are counted into groups of 32 ends each, for efficiency and accuracy in threading. This will be threaded for undulating twill on eight shafts. 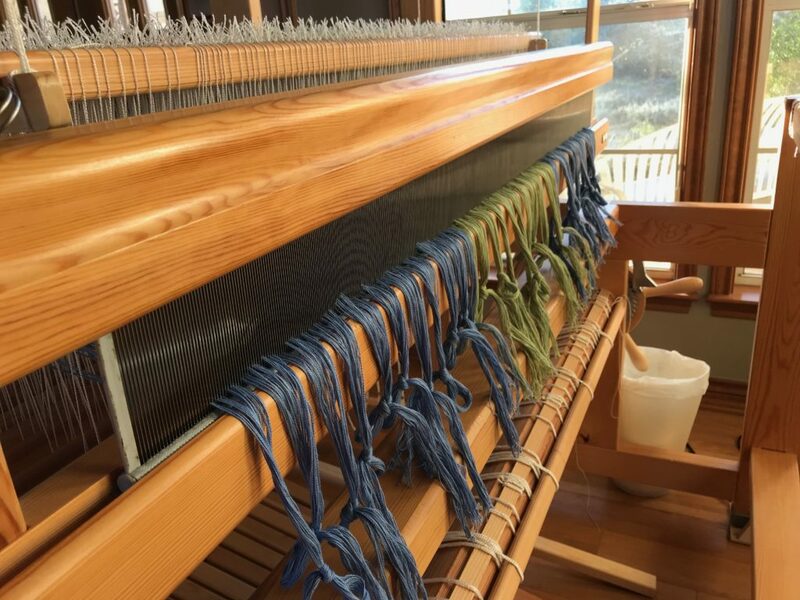 Dressing the loom leads to the making of cloth. Dressing our lives leads to the making of good character. Prayer is of utmost importance in dressing our lives. Prayer is not a single step in the process, but a posture of faith throughout the process. Earnest prayer reaches God. The power of prayer is not in our words, in the threads we express, but in the Grand Weaver. He receives our humble threads and weaves them into his will to bring about his beautiful cloth. Fascinating, isn’t it? May you dream as you dress the loom. 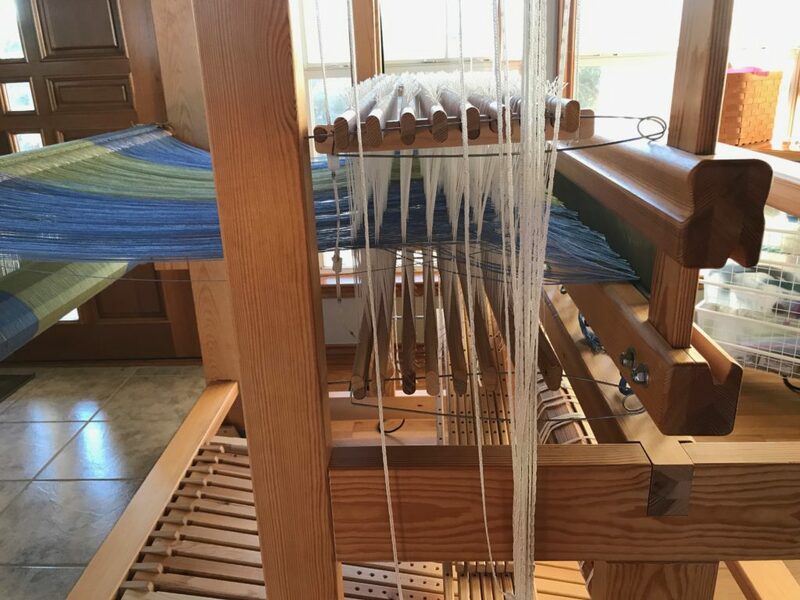 There is something soothing about dressing a loom. 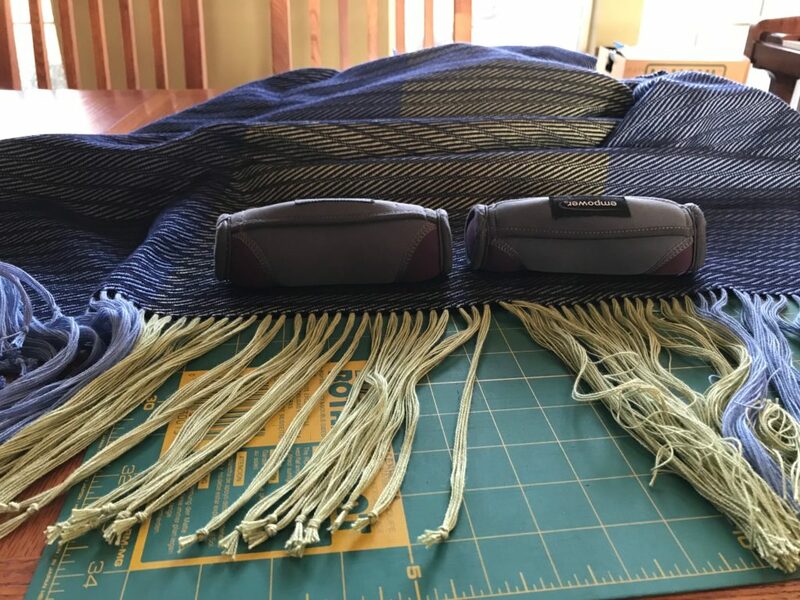 I can’t wait to see the weaving begin. Hi Beth, I agree! 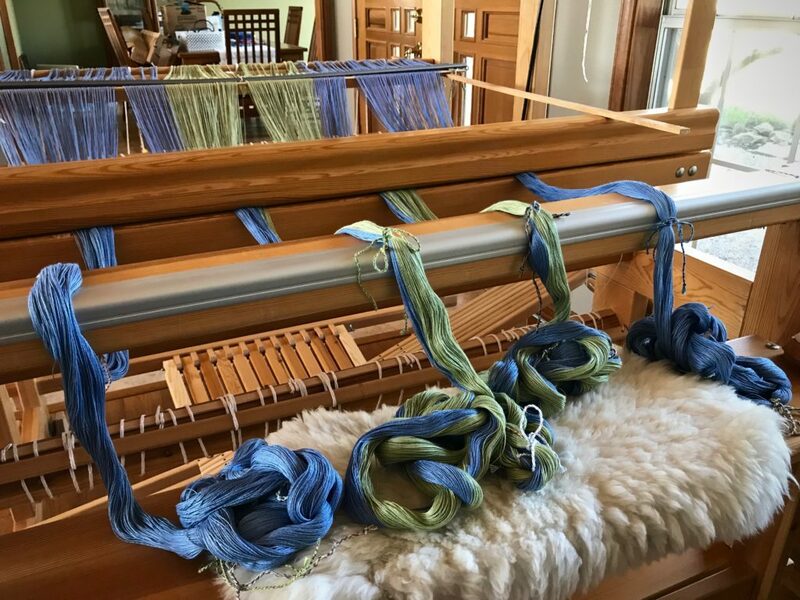 Dressing the loom is soothing. Maybe it’s because the process is systematic and dependable. I agree- I enjoy the entire process. I think you have to or you wouldn’t continue to weave year after year!! “ you must be warped to weave” . 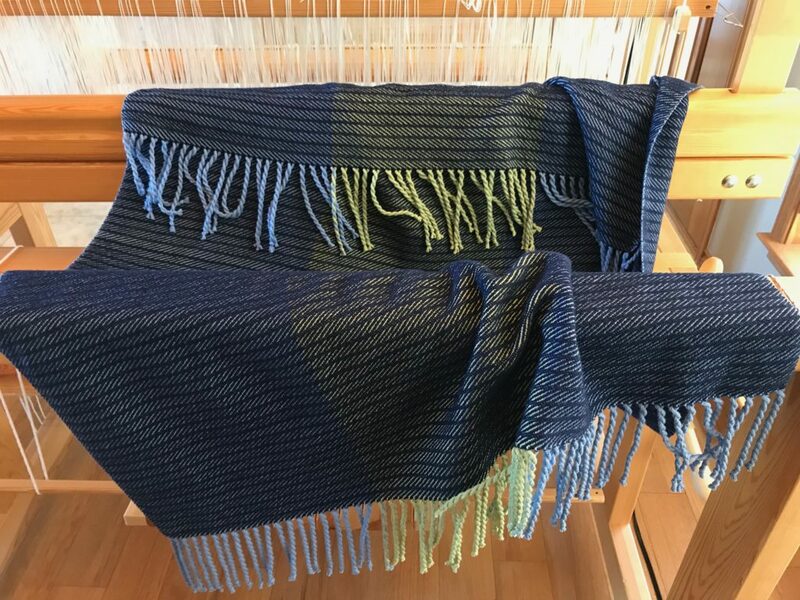 Hi Maria, Yes, maybe that’s the appeal for those of us who are drawn to handweaving – the enjoyment of process, of being part of making something from beginning to end. Your weaving is so beautiful. It’s good to know you enjoy the whole process, too. I just came across your blog and what a joy. 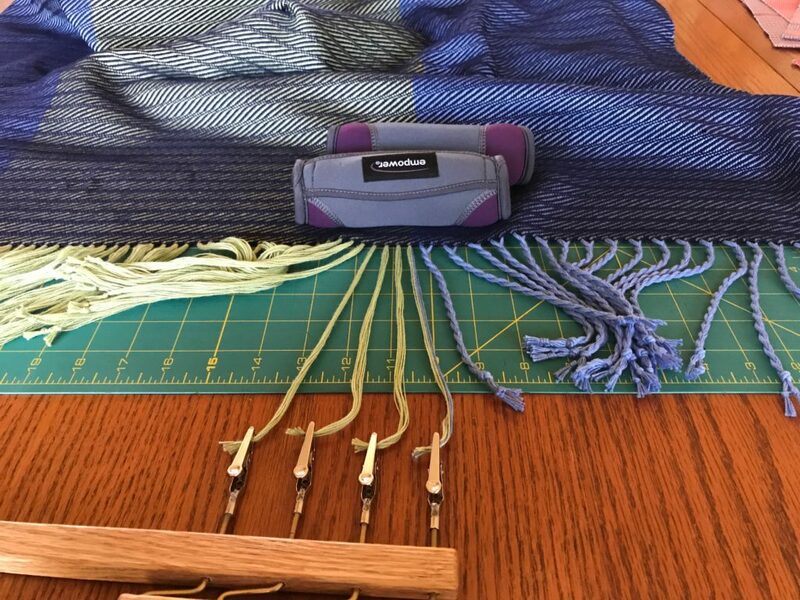 I am a beginner with a RHL and a 4 Shaft Table loom! There is nothing like creating while keeping our hearts and minds on the Creator. Happy Weaving with the one who created it all. Hi Emonieiesha, It’s a joy to have you! Welcome! Yes, what a delight to keep our hearts and minds on our Creator. Hi Sue, I’m excited for you! You will really enjoy your new Julia. How pretty the colors are. My skills are not there yet. 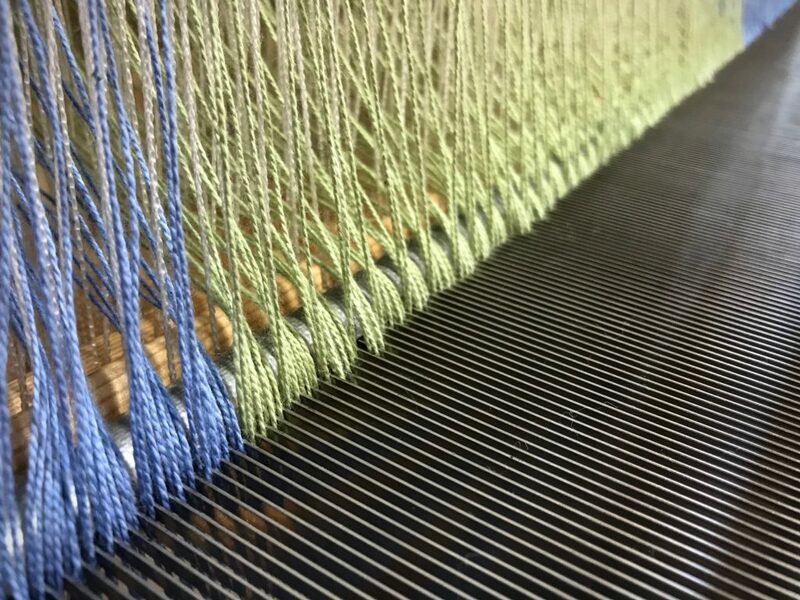 Dressing the loom requires a lot of detail that my creative brain wants to ignore. 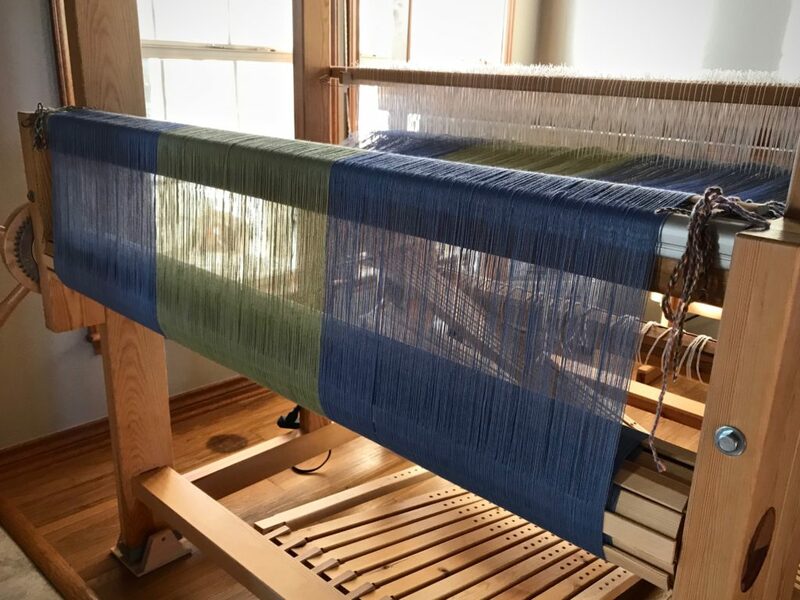 Warping All By Yourself was my guide for dressing a loom. Front to back. I am glad you provided visual details. 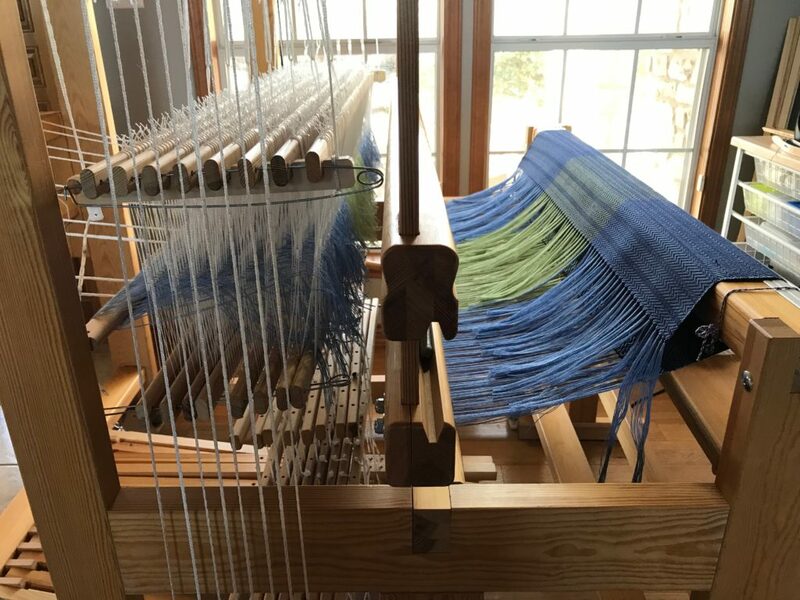 I will reference the next time I dress a loom and see if it speeds things up. About a month ago I went to the high school craft fair in Crivitz, Wi. There a woman selling the most beautifully crafted rag rugs I’ve ever seen. Nothing fancy, but even edges and beautifully chosen colors. She lives back in the woods in the home she shared with her late husband, south east of Green Bay and weaves. No business cards. I mentioned your website. She is the last hold out not on line. Her world is edged by north eastern Wisconsin. Next year I will look for her again at the Crivitz high school autumn craft fair. But earlier. The bake sale was sold out. I will miss your twice weekly posting. Enjoy the ride. Hi Nannette, I understand what you mean about your creative brain. My brain has trouble holding details, too. Having a system with specific steps helps me. I don’t try to remember the steps. 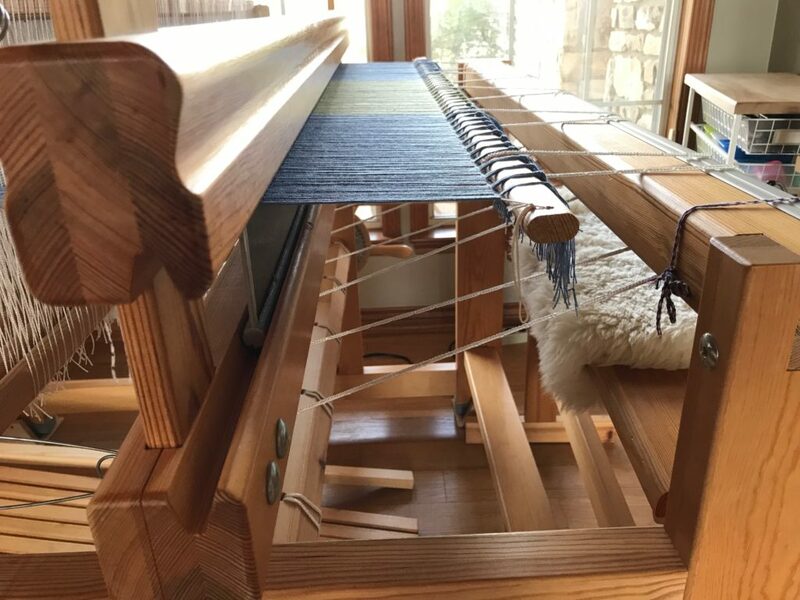 I have written down the steps and keep that step-by-step list in front of me every time I warp the loom. Those old time rag rugs are wonderful. I have two that a friend of my grandmother made in a small country town in Missouri back in the ‘50’s.